Kate O'Hare's favourite outfit is a black T-Shirt, her Glock and an FBI windcheater. Nick Fox dresses for success -- from GQ to whatever his role requires. She is the daughter of a retired black-ops Dad who taught her defensive driving in her teenage years by shooting out the tires of the car while it was in motion. 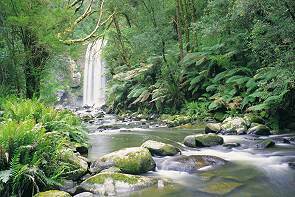 Kate has the kind of tenacity and imagination to hunt Nick down, but frustratingly, he seems to enjoy being hunted and taunts her. Set in locations around the world, the Fox and O'Hare series benefits from two successful crime writers, each of whom has a reputation for fast pace and humour. If Nick and Kate leave a trail of damage and sparks behind them, what would happen if they were to team up to bring down by any means fair or foul the people that conventional law enforcement procedures cannot touch. Nick Fox spent his teenage years learning short and long cons and heists. They are both thrill-junkies, but on opposite sides of the law. The short story Pros and Cons introduces the pair as Kate chases Nick down. They are both healthy, adept with weapons, fast thinking and while she is determined to bring the bad guy to justice, he delights in leaving behind teasing messages. In the tradition of "set a thief to catch a thief", they are brought together to bring down the big hitters of the criminal world. Ably assisted by Kate's dad, who has friends and contacts everywhere, and knows just what to put in a care package for a busy daughter, the two must complete their assignments without revealing their partnership. The two authors write together with an easy, witty voice. It's Alistair Maclean meets Oscar Wilde, with lots of action, explosions, and a bit of sexual flirting to tease the readers. 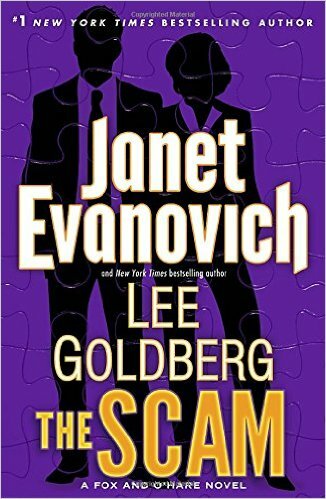 See also: Janet Evanovich answers the Usual Questions; Janet Evanovich's Stephanie Plum series; Lee Goldberg answers The Usual Questions. Kate O'Hare, ex Navy SEAL and now FBI Agent with the fast food fetish is on the track of con man Nick Fox. He is heading for the top of the FBI's most wanted, a criminal who unfortunately is not only clever and charming, but has stepped right off Kate's teenage dream man checklist. Kate resorts to desperate measures to finally capture Nick Fox only to have his escape. But this time the powers that be won't assign her to chase the fugitive down. Fortunately her father has the ordinance and the contacts to help her run a little op on her vacation. How far will Kate go in her pursuit of bad guys? Kate is back to chasing Nick Fox, but in reality they are reclaiming a stolen figure that is due to be returned to the Chinese. Can they stop a diplomatic incident with the help of their idiosyncratic little crew? This prequel is the story of the first time O'Hare and Fox encountered one another. A drug kingpin discovers that you can remake your face and body, but you can't hide your chocoholic tendencies, at least not from Nicolas Fox and Kate O'Hare. This caper involves our heroes in a plot to sell investment in a million-dollar salvage. They must convince the bad guy, capture him for the FBI, and prevent his murderous bodyguard from torturing Kate. 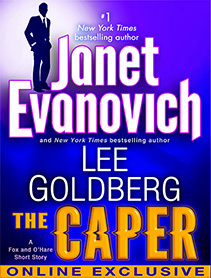 The Caper was originally published in special edition hardcovers of The Heist for Barnes and Noble.